We use Zirconia-based all-ceramic crowns, replacing a conventional crown which had metal component inside. Also known as artificial diamond, Zirconia is made of the highest-strength fine ceramic called zirconium oxide (ZrO2). Because of its strength, it is widely used from the space industry to medical technology. Some examples include thermal insulators for space shuttles and the artificial crotch joint. Zirconia is a proven material for superior properties such as high strength, durability, oxidation resistance and safety. 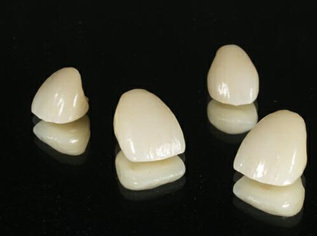 In addition, a zirconia all-ceramic crown does not contain a silver ion, which causes gum discoloration and recession. For any further information regarding our treatments or practice, please contact the Dental Clinic at World Tower and we will be more than happy to help answer your questions or arrange an appointment for you.